"The Trail of the Samba"
As sport lovers and fans of outdoor sports in particular – we’re spoilt for choice in this part of France – we wanted to forge a link between festivity and sport so we’ve organised two footraces and a hike. This not only has its sporting side but it’s also a great way of sharing convivial moments and getting a different view of the Magnoac. 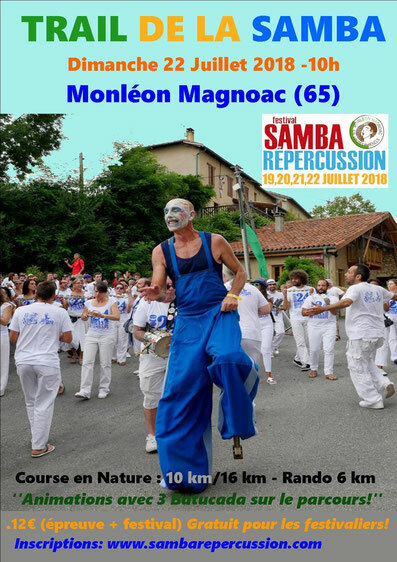 To optimise organisation of the footraces the local association ‟Magnoac Rando” will be closely involved and are co-organisers of the project. 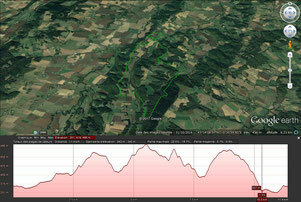 We’ve planned a long trail for fans of uphill and downhill running in wooded areas. And there’s a fairly short trail for anyone who wants to join in the festivities on Saturday evening and still be able to enjoy a morning race the next day. Some of the participants are bound to show competitive spirit while others will be more relaxed about the race and see it as a friendly way of working off the effects of the night before – it’s sure to please everyone! 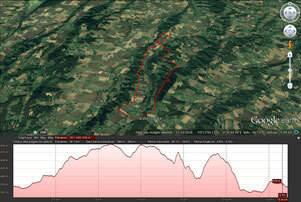 The first section of the trail runs along a ridge with a spectacular view of the Pyrenees. It ends up at Garaison, one of the region’s leading attractions (site of a school and historic chapel). The route back runs along a different ridge and through the Monléon woods before joining up with the 10 km trail, passing the Festival campsite and continuing on to the northern ridge, then into and across the village ending up at the “Grande Scène”. The first section runs along a ridge with a spectacular view of the Pyrenees. The second section continues on to another ridge and into the Monléon woods. Once out of the woods the trail runs steeply uphill and on to the road. 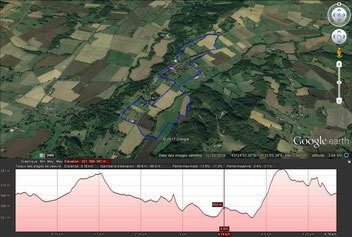 After reaching a high point with a spectacular view of the village it then runs downhill along the edge of the woods. It passes the Festival campsite, continues on to the northern ridge, then into and across the village ending up at the “Grande Scène”. This year’s hike will be shorter than in 2016. The trail loops down towards the lower part of the village and comes round to the northern ridge, ending up in the historic part of the village, like both races. The races and the hike are free of charge for bearers of a Festival ticket. The charge for anyone without a Festival ticket wishing to enter one of the races (16 km, 10 km) or join the hike (6 km) is €12 (advance registration or on-the-spot). Trail tickets cover the race, food-and-drink stops, use of campsite shower facilities and all-day/evening entry to the Festival. A doctor’s certificate less than 12 months old stating non contre-indication à la course à pied pour les non-licenciés must be presented by all unlicensed participants. Start and finish are at the ‟Grande Scène”. Both races and the hike have two food-and-drink stops. All trail/road intersections will be secured and advertised by Festival volunteers. 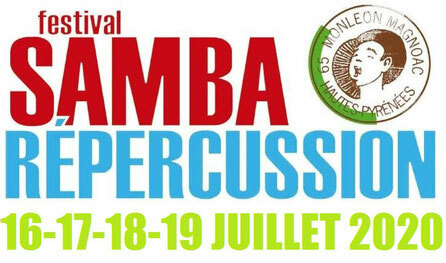 Three Brazilian percussion groups will provide musical accompaniment along the trail – a great way of mixing sporting activity with music and dance. Shower facilities are available down at the campsite after the race (parking right next door). Massage treatment will be available at the end of the race.